In this episode of #TGIF (Thank Goodness It’s Folsom and Beyond) we are interviewing Mike, General Manager of Gold Key Marina and Storage. Mike shares with us the many things Gold Key Marina does to make boating fun again by taking away the hassle of trailering, storing, cleaning, maintenance and so much more..
Gold Key Marina is a 65,000 sq/ft facility that offers 368 Dry slips for boats up to 42 feet. In addition you can store your Toy Hauler, RV or private car collection with Gold Key. Beyond the boat storage Gold key’s core services include Boat Service, Boat Maintenance, full service valet service to Lake Tahoe and or Folsom Lake and new or used boat sales and consignment. The retail store has boating accessories available like tubes, wakeboards, lines, etc. To find out more about Gold Key Marina and Boat Storage watch the entire episode and see the facility, how boats are stored and prepared for pick up. 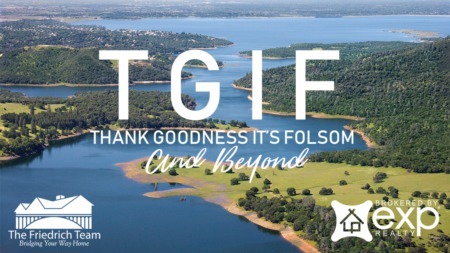 Gold Key provides unparalleled service for the #TGIFolsom and Beyond community. For all of your boat and recreation needs check out Gold Key Marina online today!